Who’s been making the Festive Felties? 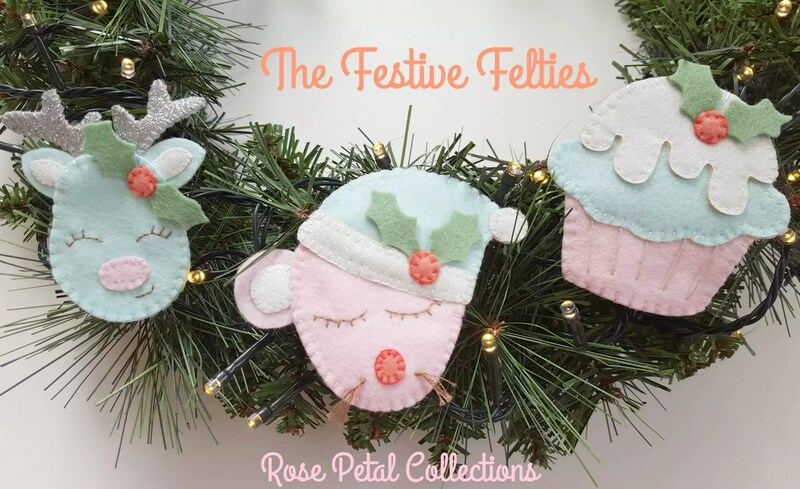 The Festive Felties PDF is my latest pattern release, just in time for Christmas. It was designed exclusively for One Thimble readers and appears in Issue 9 of their sewing magazine. To learn more about One Thimble and the Festive Felties pattern release, you can READ MORE HERE. 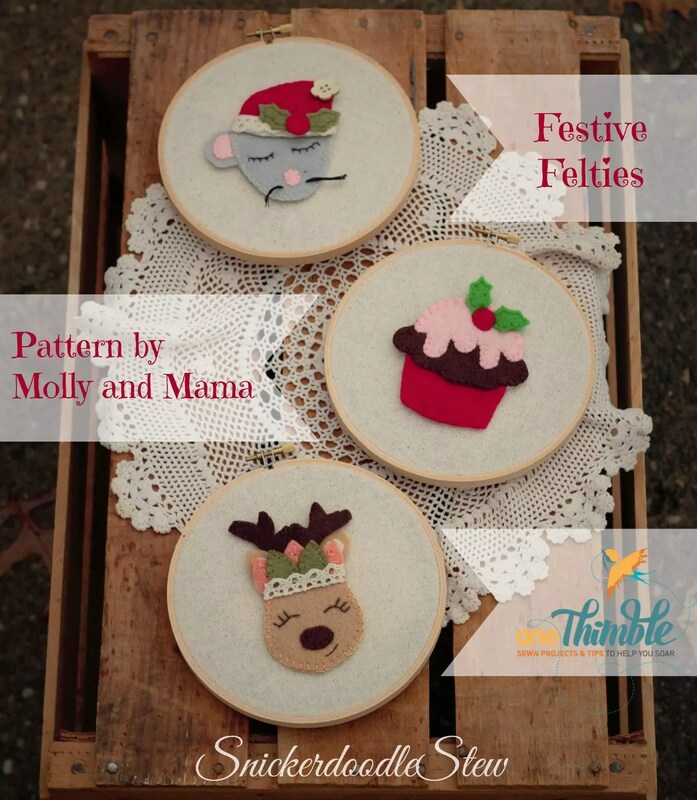 The Festive Felties pattern is available NOW. Click HERE to make a purchase*. *This post contains affiliate links which means I make a small commission if you choose to make a purchase via the links on this blog post. Whilst not affecting your purchase price, it will allow me to continue to bring you more free sewing patterns and tutorials. Thanks for your support! I wanted to create a Christmas pattern that could be used for all sorts of festive adornment. And I’m so in love with the different versions I have seen of these little felt appliqués. The pattern is so versatile, and the felties lend themselves to all sorts of Christmas projects. And even better, the pattern was written with the beginner in mind! There’s lots of step by step instructions, photos, tips, tricks and extra details to help those who are just starting out on their sewing journey. But even more experienced stitchers have found a way to make the pattern their own. Read on to see how! 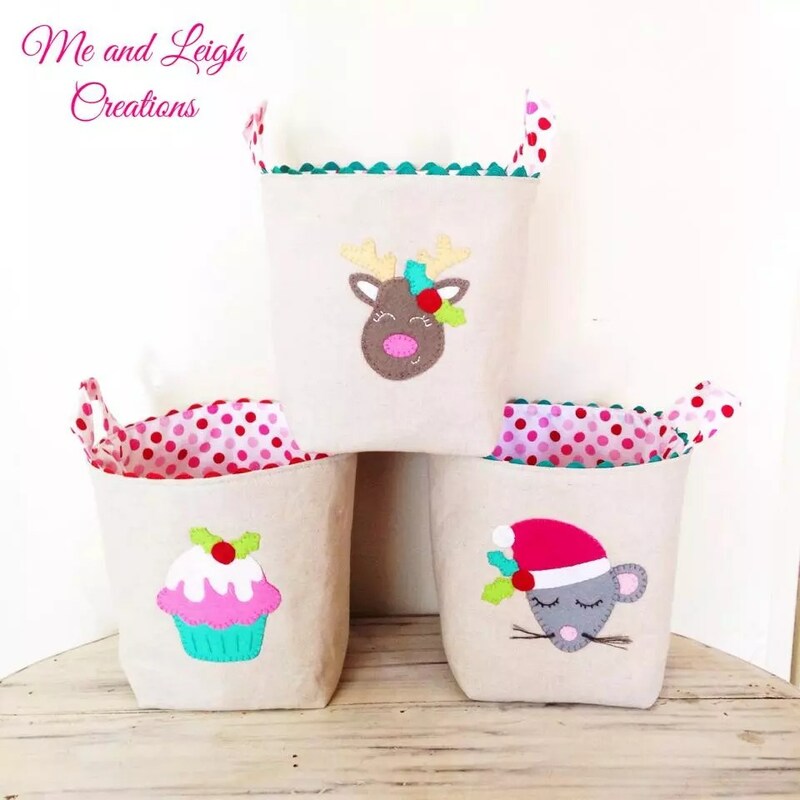 Steph at Me and Leigh Creations is known for her gorgeous home wares, bags and accessories. I am so in love with these Christmas fabric baskets she whipped up! And the festive felties make a perfect Christmas appliqué on the front. They’re so bright and fun. And perfect for an Aussie Christmas! Also in fresh colours, Candice’s festive felties are perfect in pastel. And I’m a total sucker for the glitter felt she used from her Rose Petal Collections store. You can read more about it HERE. 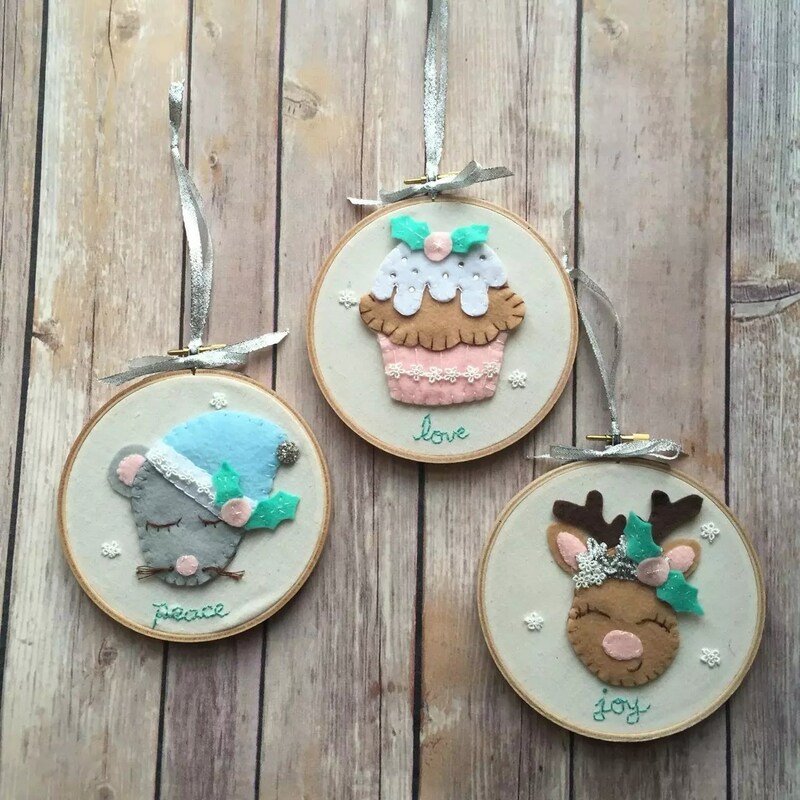 Jessica from Snickerdoodle Stew created the most adorable hoop art projects and even embellished the felties before using them for appliqué. Jen from Tie Dye Diva Patterns was inspired by Jessica to create her own version of a hoop art set. I especially love the little embroidered words, and added embellishments. Rachael from Sew Today, Clean Tomorrow hand stitched these beautifully traditional ornaments. I love the richness in the colours she chose to use. And look at those perfect, tiny stitches! I think the most popular pattern from the trio will be the cupcake. It’s great as a Christmas pudding with holly, but will be equally cute as birthday cupcake. Lulu & Celeste’s Christmas cupcake ornament is almost good enough to eat! Ula did a beautiful job. 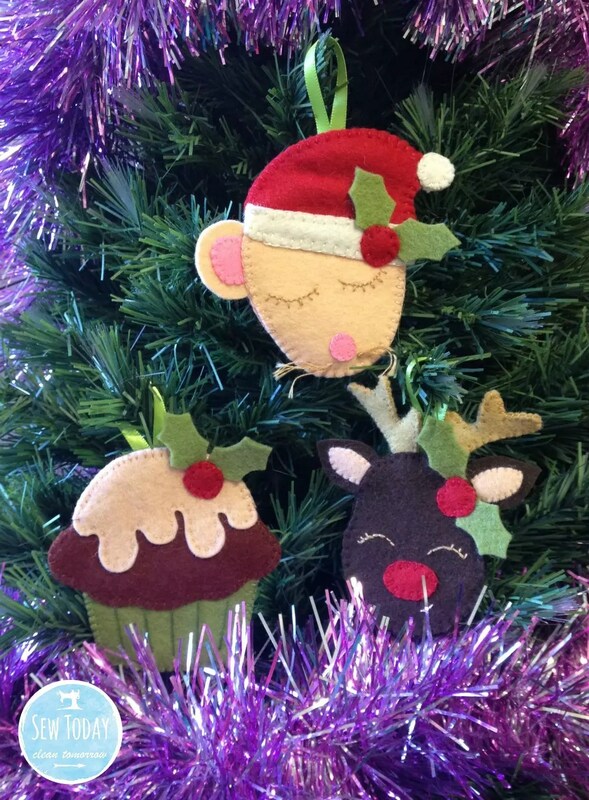 And here’s a look at my own creations from the Festive Felties pattern. They’re great for hair accessories too! I hope you’ve found some festive inspiration amongst these beautiful images. If you have a Festive Felties photo you’d like to share, please use the Contact Tab, pop over to the Molly and Mama facebook page, or tag @MollyandMama and #festivefelties on Instagram. I’d love to share more of your creations on the blog and social media. 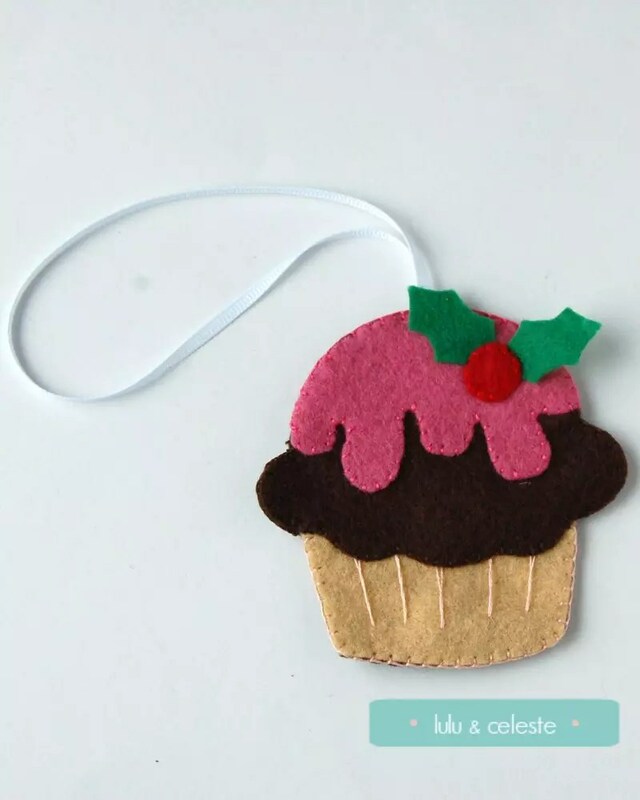 Next week, I’ll be sharing a tutorial on how to make a make a personalised gift tag using the Festive Felties pattern. So stay tuned!